Highlighting lush, layered flavors, bright acidity and impeccably balanced French oak, Migration is dedicated to crafting wines from the finest coolclimate winegrowing regions. Established in 1973, Bien Nacido has earned a reputation as one of California’s premier vineyards. Our prized blocks include original 1973 plantings, as well as vines planted in 1991. Grown in soils with abundant limestone, these older vines produce a gorgeous Chardonnay with complex minerality, a lovely texture and multilayered citrus and orange blossom flavors. This wine begins with beautiful floral aromas, as well as notes of candied lemon zest and crushed limestone minerality. The palate offers a graceful entry, with a touch of initial acidity that accentuates flavors of grapefruit and fresh lemonade. 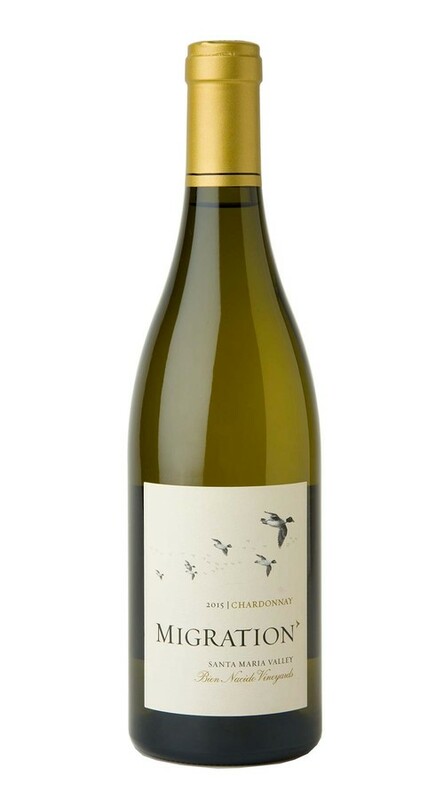 Though bright and balanced, there is a lovely rounded mouthfeel to this Chardonnay that adds to a long, satisfying finish.